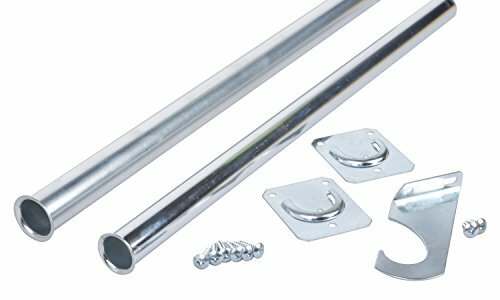 Closet-Pro adjustable closet rods can be used for wall-mount or shelf and rod bracket installations. They can be installed directly to a wall using the included snap-in flanges. For added strength, a support hook is included with rods of 48 inches or longer. These versatile closet rods are ideal for any closet design or size. View More In Closet Rods. If you have any questions about this product by Knape & Vogt, contact us by completing and submitting the form below. If you are looking for a specif part number, please include it with your message.